The Journal of mHealth has announced their annual Global Digital Health 100 today recognising the most innovative health technology companies from around the world. Companies are analysed and selected based on their ability to demonstrate true innovation and the opportunity to disrupt the delivery of healthcare at scale. London, 30th January 2019: The Journal of mHealth has today announced their annual Global Digital Health 100 recognising the most innovative health technology companies from around the world. This year's 100 sees many new entrants from all sides of the HealthTech spectrum, from new innovators looking to apply technologies like artificial intelligence and virtual/augmented reality to healthcare, to solution providers who are demonstrating rapid growth in more established tech-led services like telehealth, digital therapeutics and behavioural change programmes. The diversity of this year's list stands out immediately. With innovations targeting just about every corner of healthcare, the honouree companies offer technologies across a range of categories including, clinical solutions, wearable technologies, healthcare applications, medical devices, virtual reality and data analytics. These are all solutions and services that are transforming, or have the potential to transform, and disrupt the way in which healthcare is delivered. Matthew Driver, Managing Editor of The Journal of mHealth, said “One of the most profound differences identifiable in this year's cohort is the number of technology providers who are delivering their solutions at scale. In past years, many of our featured technologies have been limited by their relatively small user groups, but as the healthcare technology market continues to mature we are now beginning to see more and more solutions that are successfully delivering these technology-driven modalities to much larger user bases." Certain areas in particular saw stand out growth during 2018, including: Technology-delivered mental health treatment; diabetes tech; data-led disease management; telehealth; and behavioural change therapies. 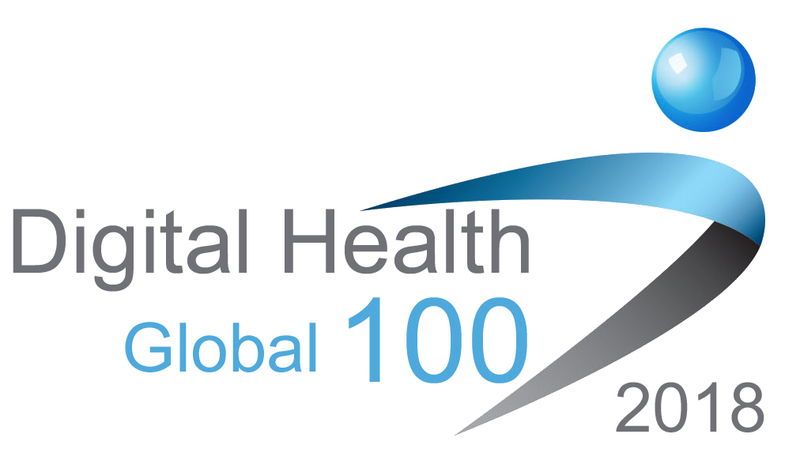 The Global Digital Health 100 represents 6 months of analysis by the editorial and advisory team at The Journal of mHealth, who considered the offerings and innovations from companies across the HealthTech ecosystem.